In this post-holiday season of bills and preparing for the New Year when we didn’t get the down time we were hoping for over the holiday break, and everyone around us seems to have the flu, all we want is to take a timeout from our responsibilities, not be asked to do even more. 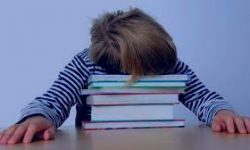 While we can be a go-getter, accomplishing left and right, at some point we run out of energy and need a break, like the child in the picture who has had enough of studying. This can happen with our visual system too. Too much input, coming too fast or too steadily without a pause, leads to overwhelm. The input can be an unpleasant noise (like a neighbor’s weed whacker in the summer, or a friend’s non-stop complaining), or a stinky smell, or an overload of visual input. This might be those many numbers on the bills you don’t really want to see, or the screens on your phone and computer and TV you’re trying to watch all at the same time, while also interacting with a family member. This kind of overwhelm of your visual and mental circuits can lead to them shutting down, and not wanting to see anything. Dr. Bates was the pioneer genius who founded natural vision improvement over 100 years ago. One of his fundamental principles was “central fixation”, or looking at only one thing at a time. That time could be part of a second, before you move your gaze to something new. Central fixation does not mean staring! Trying to see more than one point equally clearly, simultaneously, is a sure way to harm your visual system. For more detail on central fixation, see this. People can brag about being able to multi-task, getting a lot of things done all at once, and they’re kidding themselves. Study after study has shown that these people switch their focus (note the visual association) from one task to another, then back to the first task, when they think they’re doing both tasks in the same slice of time. They are not considering small enough slices! Unfortunately, eyeglasses train us to see a big area in a single glance. They expand the clearest sharp center of your vision, which is supposed to be a pinpoint, and shrink your periphery. So people who learn to come out of glasses have to also re-learn to move their gaze from point to point. (Note that glasses also train you to stare, with your gaze fixed and immobile.) I think if you’re taking in an entire view in one super-sized visual gulp, instead of scanning it point by point, it would be easy to become overwhelmed, your visual channel flooded. I’m pretty sure this is what happened to me as a child in thick glasses, which kept getting thicker. I couldn’t deal with all that input coming in at once, and couldn’t make sense of it to see the eye chart well enough, so the eye doctor concluded I “needed” even stronger glasses. In the years I’ve been studying vision improvement, reading all the books and thinking about all the techniques, I wish now I’d spent less time trying to “figure it out”, and more time experimenting with my own vision, seeing when I could see more clearly and when things were blurry. When I read about central fixation, such a key component of clear vision, I didn’t “get it” fully until I tried to see 2 adjacent small items equally well. When I switched my gaze from the left one to the right one, then back to the left one, the one I focused on was always the most clear! My logical mind then extrapolated this to looking out the window, seeing one snow-covered step on the house far across the street more clearly than the entire front of the house in a single glance. Your eyes and brain know how to see, if you just give them a little support. If they feel overloaded, they probably are! They’re not being lazy — they’re giving you valuable feedback. 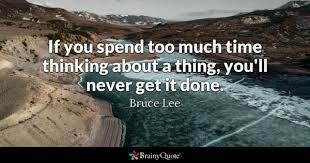 One thing at a time, with full focus, then let that go and move on to the next. 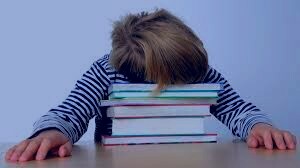 This is the way to be productive, without exhausting yourself, and is the easiest way to see clearly. Appreciate what you’re seeing, and how well your eyes are working for you. Vision is such a precious gift. Thanks so much for your reply, Nancy! Paul, thanks for reading. I once heard a teacher ask “Do you really want that thing (car, gadget, whatever) or do you want how you think it will make you feel?”. I stopped wanting how glasses made me feel a long time ago, all constricted and trapped, separated from the world instead of in the middle of it. I thank you for these comments! Very clear! Your reflections on your experience, buying truth instead of just another pair of glasses or contacts, are very helpful! A lot of life relates to this! I have drooled at cars, only to spend far too much money on a new one! I have drooled at new computer gadgetry and done the same thing! Truly beauty is in the “eye of the beholder”, but is much bigger than the object, or the glass or plastic it is forced to look through! Thanks so much! Happy new 2018 year, Nancy! Being overwhelmed that was exactly how I felt wearing glasses. Learning now a habit of central fixation relieves my mind and body and provides with a great feeling of letting go and living in harmony with the present. Thank you for the article! Alvina, good for you! Yes, harmony and being in the moment, right here right now, fully. Happy harmonious 2018! Previous Previous post: Are You Accepting Of Your Vision?